The IWI revived its River of Dreams (ROD) program in 2016, and it has generated some of my most memorable work experiences to date. 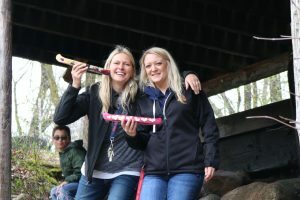 In the spring of 2018, ROD reached 18 schools, 31 classrooms, and over 600 students throughout the Red River Basin. Every year I find I am more impressed with our students’ collective creativity and ability to comprehend their place in the world of water. Several times this year I was blown away by the retention students exhibited at our launch events. Canoes will travel a local tributary stream – the Rabbit, Wild Rice, Red Lake, etc. – down to a confluence with the Red River of the North. 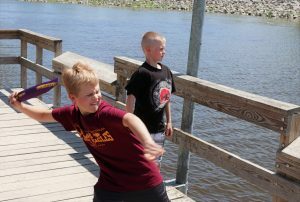 The Red flows north, from its source at Breckenridge, MN/Wahpeton, ND, along a 550-mile meandering course through the economic hubs of the region – Fargo, Grand Forks, and Winnipeg – before finally reaching its mouth at Lake Winnipeg. But our water does not stop there. I had a particularly proud moment overhearing a River of Dreams student explain to a reporter how the Nelson River flows from Lake Winnipeg to Hudson Bay and, ultimately, the interconnected world ocean system. 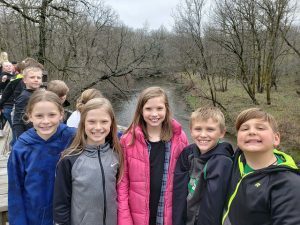 If all people knew of these connections from a young age, how would that impact the way in which they experience and interact with their local watershed? I hope you take the chance to browse through the stories and canoe designs created by our students this spring and follow along with the journeys at riverofdreams.org. It’s a big watershed out there – dream big! For more, check out our spring newsletter, featuring River of Dreams highlights.